At the dawn of 2018, the two “eternals” are called to add to the winning know-how of Greek clubs with the thirst for distinction that come with a new team. Hoopfellas analyses the games at San Lluis and Zalgirio Arena with its first post of the season..
Panathinaikos showed us something that was quite close to what we suspected after Nick Calathes was injured. Even though the Greens handled the game against Maccabi very well, and got the road win at Belgrade, they “fell” to Valencia, as they had lots of ups and downs within the 40’, and they had no leader, as the safety Nick Calates was missing, as was the clarity of Xavi Pascual. -Panathinaikos are called to handle the way their opponents attack when either Vougioukas or Auguste play at “5”, especially since the main volume of possessions has to do with middle Pick n Roll. Valencia managed to see the light through this offensive direction, relying on creating imbalance, not straight execution, targeting the roll. Without the Ball Hawk, the very talented Defensive Stopper called Nick Calathes, Panathinaikos’ defense tried to surprise the Ballhandler with a more aggressive behaviour by their big men, which looked more like a trick, rather than a conclusion after deep thinking. Auguste’s defensive weakness made his teammates (especially the base line defender) to continuously float towards the middle lane in the opponent’s roll, in order to control his movement towards the rim, until the former Notre Dame Center recovers, which has a negative effect on the timing of the team in its defensive rotations and close out defense. 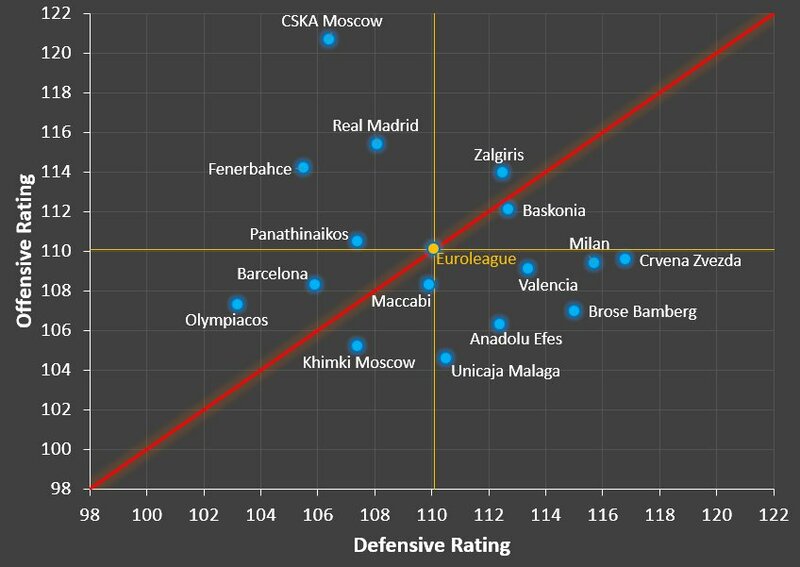 Especially teams that work with the weak side and have the patience to move the ball and look for the extra pass, such as Valencia, pose problems. Against the “Bats” of 68.0% AST% (they relied on the cooperation after a breach/defensive imbalance, rather than 1 on 1, especially on a night that San Emeterio was not playing…) Panathinaikos should have structured their defensive plan on their objective to direct the ball and “lock” it in a match up that would be in their favour in the final seconds of the possession. Ian Vougioukas (he was good on offense) was poor on off the ball defense, and lost many positioning battles down low. The home team’s two big men (Pleiss, Dubljevic) scored 24 points with 10/15 two-pointers… Panathinaikos had their best defensive stint in the beginning, when they methodically pressured the entry pass, and sent the ball to 1 on 1 in the middle lane on Gist, with Antetokounmpo in the back line of defense. 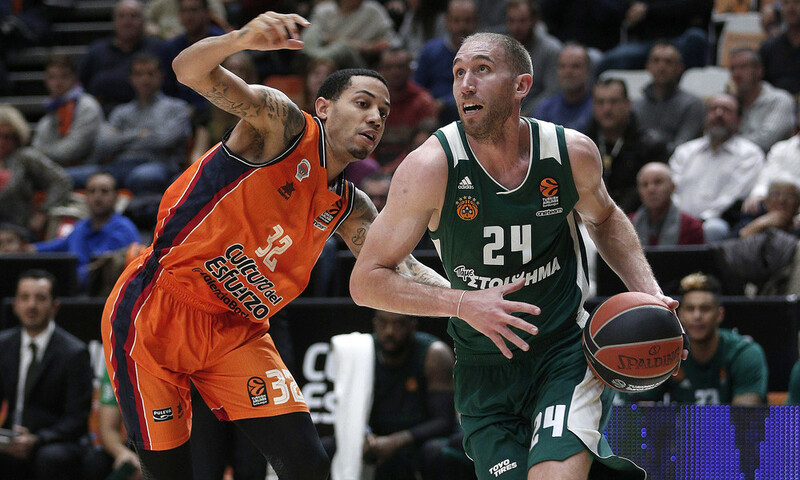 Panathinaikos’ deployment on offense posed several problems to Valencia. I think this happened more than any other time this year. Last week we highlighted the way Xavi Pascual relied on James Gist and gave him the part of decisions, playing him as the High Post playmaker. The American Center had a bad night (and with the safe plays with Calathes, which could have brought him back in the game, being unavailable) the Greens were led to 1 on 1 plays, while desperately looking for new sources of creation. Except Gist, the lack of a floor general affected Rivers as well; K.C. run a lot around the screens, but he didn’t have the guard that would give him the ball in the right time and at his good spot (1/7 three-pointers, lots of contested shots). Within this context, in conjunction with the expectations, Lucas Lekavicius was disappointing for the first time this year, as he made everyone nervous and did not give the required calmness to the team’s offense. Despite the fact that the carpet was set for him (Valencia didn’t have players that could pressure the ball and had several defensive gaps), the Lithuanian guard never really got into the game, as we saw him stooping his dribble after ball screens several times, and the Spanish defense was never worried about him. Panathinaikos never managed to bring to the floor the speed that would have given them an advantage against this Valencia team, and the absence of a guard that would take the team on the right track and get it into that mode was obvious. We talked about Lekavicius last summer. Some were talking about his efficiency in PnR, but we went deeper and highlighted that he is a Shoot-first PG, thus his efficiency was in respect to producing directly through execution in these plays, and we shouldn’t forget that the offense of this year’s Panathinaikos team is different from the Zalgiris one. At Kaunas the Lithuanian champions run an offense that exploits every inch of the court in set plays (from one side to the other), whereas the Greens mainly work on Sideline Triangles or 2-2 plays on the side. If the defense manages to control the ball and off the ball movement early, these play mostly require dribbling and 1 on 1. In Barcelona the Spanish coach had Tomic, who was the “bridge” between the strong and the weak side from the High Post. In the Pascual era Barcelona used this “tool” to turn strong side situations into Weak side actions and close out offence on half court fast breaks (with an extra player on the wing), at the time when the cuts of Sada/Pete Michael/Satoranky on the base line put enormous amounts of pressure on the defense, which within 1-2 seconds had to pick its poison… At San Lluis Panathinaikos had no point of reference on the creative part (Calathes would have had much more luck in setting PnR against coach Vidorreta’s big bodies), as the team (except for Vougioukas, who had 4/5 two-pointers) shot 10/27 two-pointers. Moreover, the Greens saw Pappas having a bad game (he got unlucky, as he was injured before the game ended), who was hesitant to go to the rim, even though his coach tried to open up spaces for him in the paint with 1-4 High-stack or 2-3 High Formats (thus making Valencia’s big bodies leave the low post, and allow his players to play a vertical game. With Gist having a poor night, and Pappas’ slashing unavailable, the only way to score in the paint was Vougioukas’ Post-ups; this is why Ian played 18 minutes. I think that in the end, the Greens should have been less conformist and go to the last 10 possession game with a smaller lineup. Xavi didn’t find the right paths..
As I said after the game, there were “paths” (winning shortcuts) through which the poor night Panathinaikos was having could have led to a win against Valencia. This was one of the few nights that coach Pascual was unable to see these paths… Coaching is like a player’s performance; it just isn’t expressed in the same way. 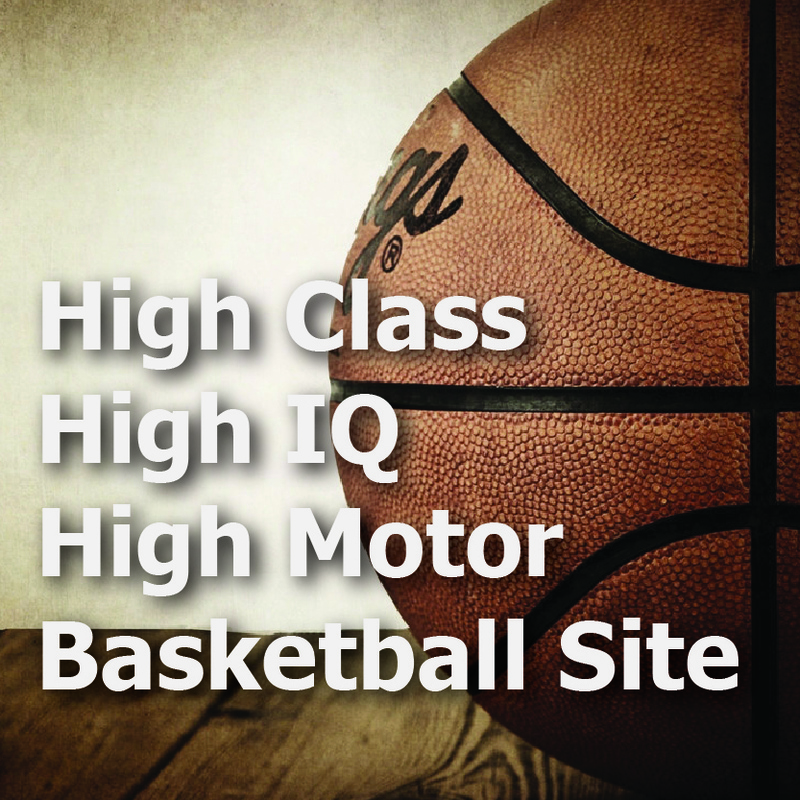 Coaches have good and bad nights, on and off periods of time, and this is concerned with clarity of thought and their readiness in terms of mental reflexes, in order to rise up to the challenge they are up against, and mainly successfully handle the interactive nature of basketball. After a great battle at Kaunas, Zalgiris managed to beat Olympiacos in the final stretch, in a game when action and reaction of the two coaches in terms of choices was quite interesting. -I think that Olympiacos’ defense did not respect Kevin Pangos enough, which may be part of a broader thinking that wanted the Reds (who were playing without Printezis and Milutinov) paying more attention to the protection of their paint. This is a player that is in great shape, his morale is off the charts and he has been playing excellent (apart from the game at Valencia) in his last few games. From the beginning of the season, Pangos has been playing better against elite competitors. 20 points and 5 assists against Madrid, 12+11 against Panathinaikos and a real show against Fener (22 points with 9/12 shots and 7 assists). 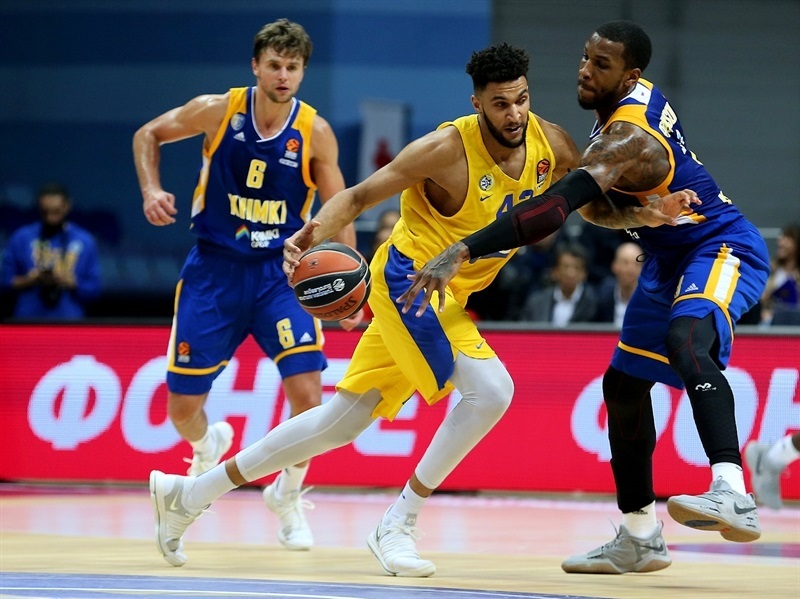 He is a guard that has improved immensely in the fast-pace offensive environment of Gran Canaria and, after his first season in the Euroleague, he is the general of one of the best teams in this year’s Euroleague. He shoots with 50% at 3-pointers, he rarely goes to the free throw line (15 free throws in 15 games) and dishes out 5.6 assists for 2.6 turnovers. Olympiacos chose to give him shots off the dribble (he is very efficient at that) even playing him Flat in PnR. They used Step Back/Fight Through on Diamond offense (in order to prevent a quick pass to the wing to Jankunas) for the Canadian and in some cases a soft Show & Recover. 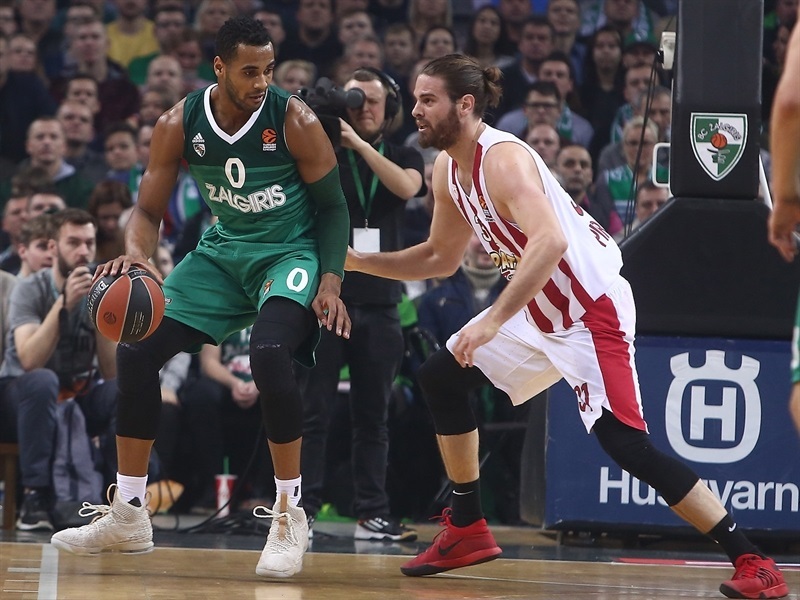 Olympiacos capitalised on Pangos’ mediocre start and they were not aggressive enough against him as the game went on, which helped him get into the game and become the key player in the final minutes (a big three-pointer and an assist for a White dunk). We only saw Hedge (which would have stopped him from dribbling) once from Giorgos Bogris, who is not the best player to do that. Coach Jasikevicius chose Ulanovas’ length from the beginning in order to quickly match the advantage of space the Greek guard would have had after the screen with the Lithuanian forward’s long arms in Soft Hedge situations. Giannis Sfairopoulos gave his captain several double screens (staggered, elevator), looking to increase the available time for him to make his decisions, as well as to increase the chance for early execution, but the result wasn’t good. Olympiacos were also poor against Zalgiris’ Side Picks (we focused on a similar weakness for Panathinaikos in their game against Zalgiris). In this case the Stay in Contact rule was not applied by the Greek defense, which conceded points from that action. Of course, we saw no trapping the ballhandler (this is within the context of not playing aggressive defense against Pangos) and rotation of one of the quickest Reds forwards (Papapetrou-Papanikolaou-Thompson) on the Lithuanian veteran. We also didn’t see a big player on Pangos in the second half, which would have made Olympiacos control the ball and the execution after the Switch. P.S. I am following FMP’s Michael Ojo (2.16-C-1993) after his second season at Florida State. The Nigerian Center started playing basketball late and is still developing his mentality and his game rapidly. He is a Center with rare physical assets. He has great hands, a strong body, his speed is good for a player of his size. You cannot work on player’s size and the impact his presence has in the paint for FMP can be seen instantly. 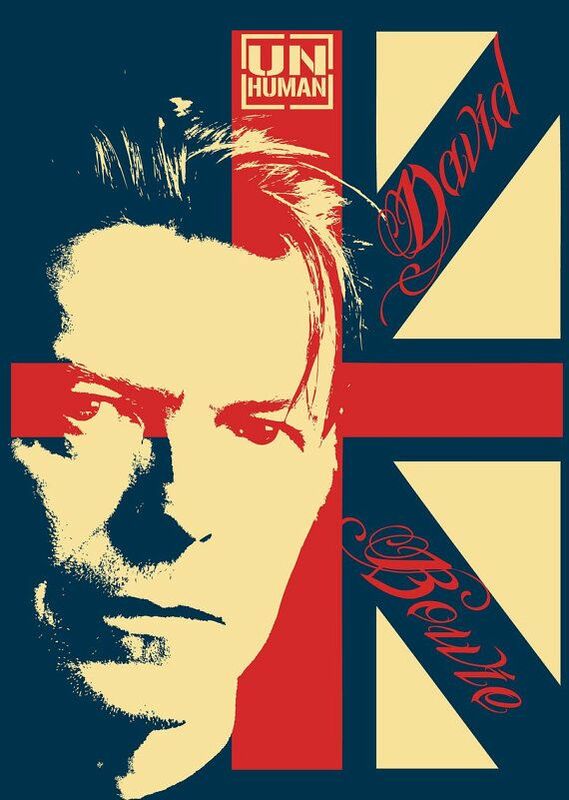 He is still raw in many levels. His is so strong that he cannot control his strength. For example, his court vision has improved (he sees passes at a good level for his position), but his passing technique is not that good. He is a good rebounder. His free throw percentage is quite good, considering his palms look like puddles. He doesn’t have good timing in blocks, but he still has 1.2 blocks in 21 minutes in the ABA. His screens are not fundamental, but his elite physical package automatically creates the desired spacing for the ball handler. 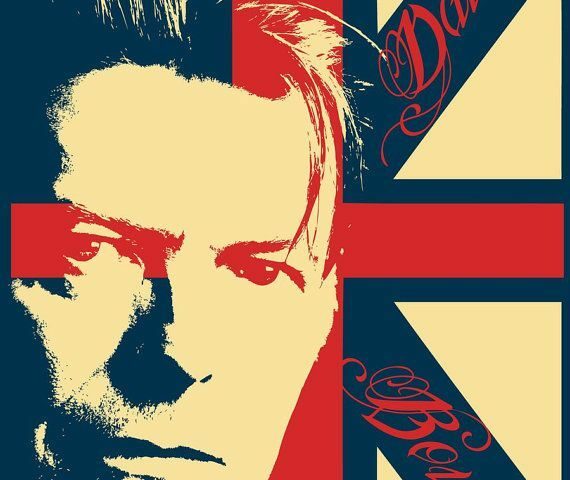 He is not quite “there”, if you are looking for the reason I am writing about him. In my opinion the speed and the new stimuli the new (much more demanding) Euroleague environment would give him, would not be manageable by the Nigerian giant (7’8’’ wingspan) at the moment. The good thing is that he improves day by day and he is adapting to European basketball. Can he reach in the immediate future the status of Nate Jawai (he also started his European “adventure” from Belgrade and Partizan)…? This year in the ABA with FMP he has 12.0 points (62.0% two-pointers, 66.7% free throws), 6.6 rebounds (2.5 offensive, 1st Centre in the ABA in OREB% with 14.4), 1.2 blocks and 1.9 turnovers (turnover & foul prone) with the best DRAT among the league’s Centers with 104.0. Make a note of his name. P.S.2: Dimitris Bibizas, a friend of Hoopfellas, made this in his spare time. When I asked him about his inspiration about the quote “You cannot win unless your learn how to lose” his answer came naturally: this is what he makes out of Hoppfellas’ style.